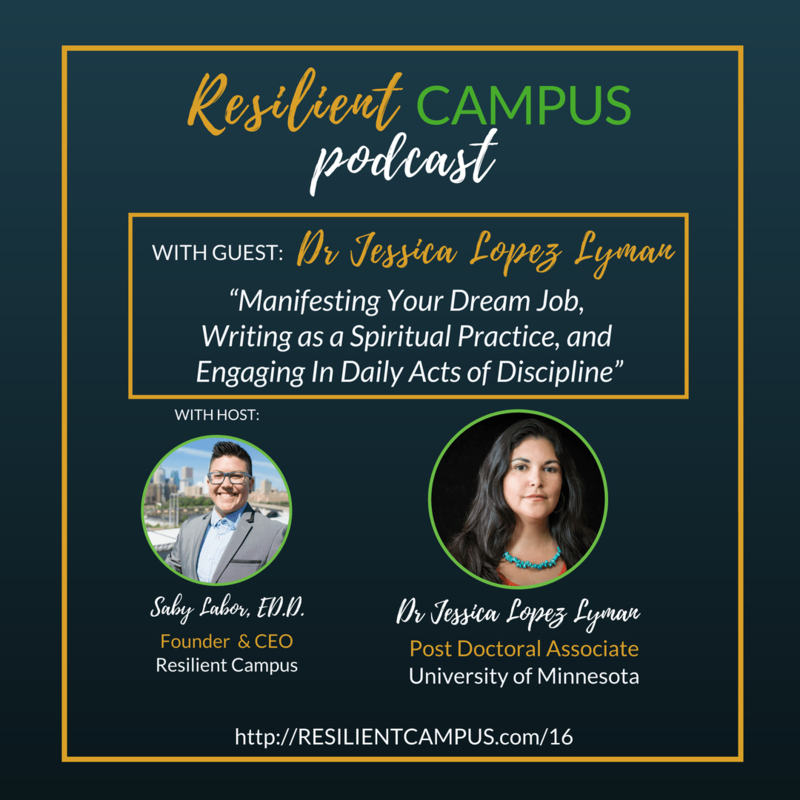 In this episode, Dr. Jessica Lopez Lyman recalls her earliest memories of learning and the resulting availability of new worlds and possibilities. She centralizes this question for our deep consideration in order to imagine ideal conditions for a better tomorrow: “What do you want?” She directly connects the act of manifesting, something as simple as writing and keeping our dreams and visions in order to make them a reality. She offers guidance for today’s higher education inclusion innovators that includes a practice of discipline as a form of liberation, of having agency in our lives and outcomes. Jessica Lopez Lyman, Ph.D. is an interdisciplinary performance artist and Xicana feminist scholar interested in how People of Color create alternative spaces to heal and imagine new worlds. She received her PhD in Chicana and Chicano Studies from the University of California, Santa Barbara. Her manuscript, tentatively titled Midwest Mujeres: Chicana/Latina Performance explores racialized and gendered geographies of urban Minnesota. Jessica is a member of Electric Machete Studios, a Chicanx/Latinx/Indigenous art collective on St. Paul’s West Side. She is a Postdoctoral Associate at the University of Minnesota in the Department of Chicano and Latino Studies where she will join the faculty as an Assistant Professor in 2019. You are going to love this collection of the top 3 requested resources from our Social Justice Toolkit series! Download here.